The Institute for Political Science (IfP) holds a Departmental Seminar, which is open to the public. In this setting, guests and members of the Institute hold open lectures on a regular basis and the audience can enter into discussions on a variety of topics. 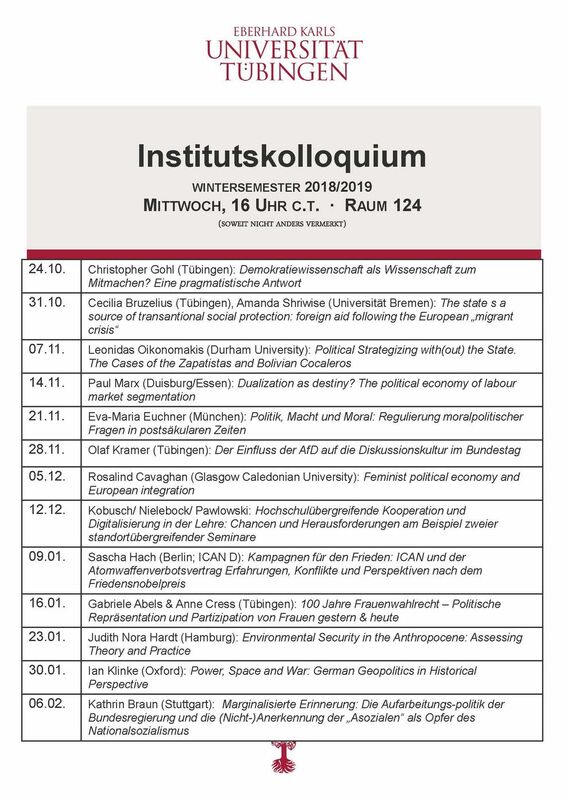 Unless noted otherwise, the seminar takes place on Wednesdays at 4:15 p.m in room 124 of the Institute for Political Science in Tübingen (view below for a map).